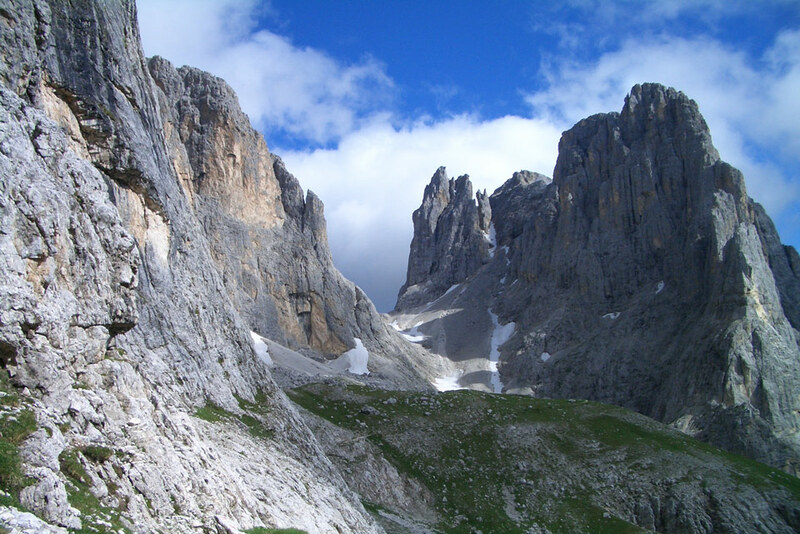 Palaronda Ferrata, new suggestions to experience the Pale di San Martino, enjoying its beauty and looking at the world from above ... because living in the mountains is a wonderful adventure! The Refuge Rosetta was built by the SAT at 2.581 meters above sea level on the western edge of the Plateau Pale above the village of San Martino di Castrozza, in one of the most scenic areas of the Pale group. Impressive, high peaks rise rich in contrast against the sky and present themselves at sunset in the most beautiful shades of red. 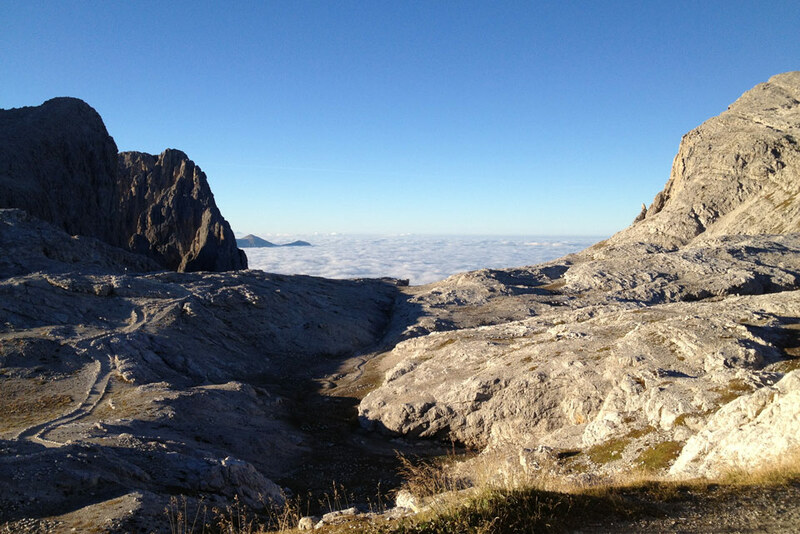 This stunning mountain scenery surrounds our refuge on the vast alpine plateau like a group of silent guardians. Enjoy the special experience of a hike at the plateau and undertake a time travel through past centuries, where natural forces such as cold, frost, wind, snow and sun have left visible traces in stone and rock. During the summer months you can marvel at the changing colors of the plateau where the shadows of the clouds appear on the rocky surface and the early rays of the sun at dawn, discolor the mountain peaks. In the winter period, the snow and the wind change the shape and appearance of the mountains and cover the landscape with a white blanket. There are not enough words to describe the beauty of this spectacular natural landscape. Come and visit us at the Refuge Rosetta and enjoy the peace and the fresh mountain air while drinking a glass of wine. Enjoy the little things in life and realize the true value of them. The atmosphere around the refuge Rosetta will literally enchant you. The Refuge Rosetta offers a bar and restaurant service and is open in the summer period from 17th of June to 20th of September and in the winter season during the Christmas period and on the weekends until Easter. For further information or reservations, please contact us at the following telephone numbers: 349 5331742 /0439/68308.